Logging is a tough undertaking. It is a manual, dangerous job for cutting crews working out in the forest. Yet, their work is a vital one, as the harvested trees will likely become part of daily life for many once they are processed and turned into pulp for paper, wood for furniture, and so many other everyday items that are used and enjoyed without a second thought. Microsoft is a well established brand, known to deliver software solutions for a lot of different industries, including Microsoft Windows, the operating system used by millions of computers worldwide. We all know or have used something built by Microsoft. From their Windows operating system, used on millions of computers worldwide, to the Office suite, full of familiar and intuitive tools to help people work better, there’s a Microsoft solution to suit just about any industry you can think of. Microsoft Dynamics 365 is a relatively new product that combines two key elements of enterprise management: Enterprise Resource Planning (ERP) and Customer Relationship Management (CRM). Pretty much every medium to large sized company can benefit from a single solution that combines such important aspects of the business. One of the most obvious advantages of Microsoft Dynamics 365 is that it unifies two of the basic principles of enterprise management into one single, cohesive solution. Dynamics 365 allows for ERP and CRM applications to work seamlessly with each other, integrating all your company’s assets and resources into one efficient, connected solution. This unified aspect of the Dynamics solution cannot be highlighted enough. The entire software architecture was built with this design feature in mind; the unification and seamless integration of these two critical aspects of running a business. This unification into one single and solid product enables an enterprise to access and manage what they need through one unique platform, allowing them to be more efficient and effective in their efforts – regardless of product or industry. Practically speaking, this greatly simplifies processes and removes the need for multiple, diverse applications to run different parts of the business, which eliminates separate licenses for the software, separate maintenance contracts, updates to different systems, etc. Microsoft Dynamics 365 does away with all that through its unified nature, benefiting business aspect such as sales, customer service, marketing, operations, and many more. The Dynamics solution is also the only package combining ERP & CRM that works in a Cloud environment. Working in the Cloud facilitates many factors involved in everyday work, such as flexibility. A Cloud environment is easy to scale up or down, depending on the business’ needs at any particular time. Bandwidth requirements, for instance, are easy to adapt and recalculate depending on the stage of the business (month-end reports, year end, etc.) Another crucial area where Cloud environment can make a critical difference to the business is disaster recovery. If you rely on physical machines to store data, etc., and something goes very wrong (machine breaks down, is stolen, etc. ), your business can very easily be put in jeopardy. A Cloud solution allows for quick and easy disaster recovery, should the unthinkable occur. Dynamics 365’s advantages are obvious. 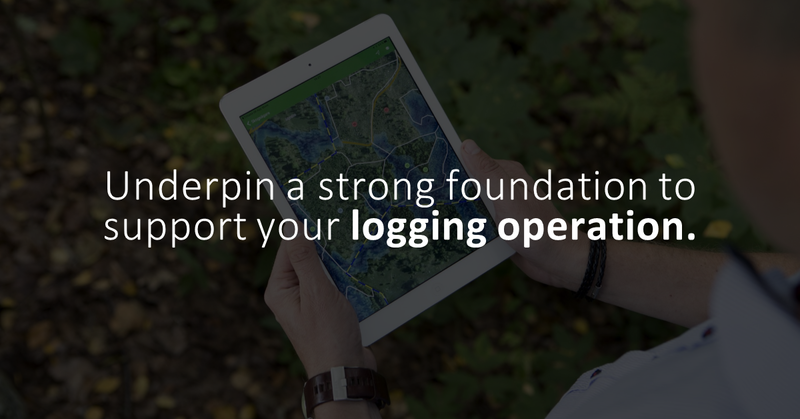 An integrated, cohesive solution that contains everything you need to cover every critical aspect of your business, providing Cloud environment and so many other features to ensure the efficiency and development of your logging operation into the future.